It’s tough out there on the high street. Brick and mortar retailers are feeling unsettled following the recent demise of BHS and Austin Reed. And yet even though online is gaining ground, British people still vastly prefer shopping in physical stores. Many industry watchers have even started talking about a bricks and mortar ‘renaissance’ as shoppers experience online’s limitations and return to the high street. This explains why even Amazon is starting to open physical retail outlets, recognising customers’ desire to touch fabrics, try on shoes and get the personal assistance that comes with the in-store experience. Many people rightly lament the edge online retailers have in being able to exploit analytics to target promotions, operate efficiently and provide outstanding customer experiences. They see physical stores losing marketshare to online retailing in what appears to be a ‘zero sum game’. It doesn’t have to be this way. Online retailing can provide inspiration for physical retailers to improve as the boundaries between bricks and clicks dissolve. Readers might well ask how physical shops could possibly benefit from the same kind of data gathering and analytics capabilities in e-commerce websites. The answer lies in a simple piece of equipment that most retailers already have – cameras. 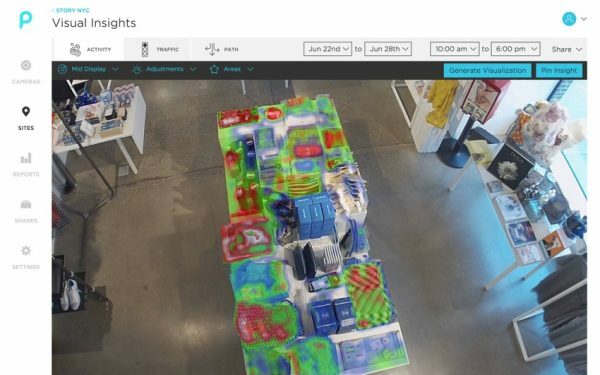 By putting cameras to work as data-gathering Internet of Things (IoT) sensors, independent retailers and large chains alike can now analyse exactly the same type of data available in the website ‘clickstream’. Giving retailers access to valuable data can be a game changer — not just to address weaknesses, but to raise performance. Research has shown that by using traffic trend data to fine-tune merchandising design and presentation, physical retailers can create experiences that inspire customers to consider new purchases, increase sales conversion and raise staff productivity. 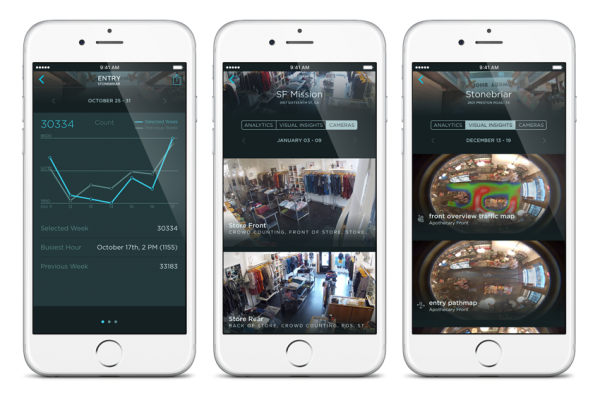 To catch up with online, physical retailers need visual access and actionable data about what’s happening inside their spaces. How many people are coming through the door? Which promotions and store areas are proving to be the most (and least) popular? How long are the average till queues? So the need is there, and the potential is there — but what IoT technology is out there that can convert video into visual insights? And how can it meet brick-and-mortar retailers’ fundamental challenges? This is where video comes in. Retailers have historically regarded video cameras as costly tools, mainly for loss prevention. They complain that cameras eat up bandwidth when remotely accessed and produce hours of data-heavy footage, of which only seconds provide business value. Video’s image problem started during the old days of analogue CCTV when video was merely seen as a record-keeping tool to catch and convict shoplifters. Fortunately video technology has moved forward considerably since then. Today many modern IP cameras are equipped with powerful visual sensors and analytics that transform the simple “video recorder” into an IoT-connected device capable of delivering sophisticated business intelligence Not only has video evolved into a powerful source of data, but it’s being done in a way that’s low bandwidth and easy to digest — which can never be said for hours of raw footage. 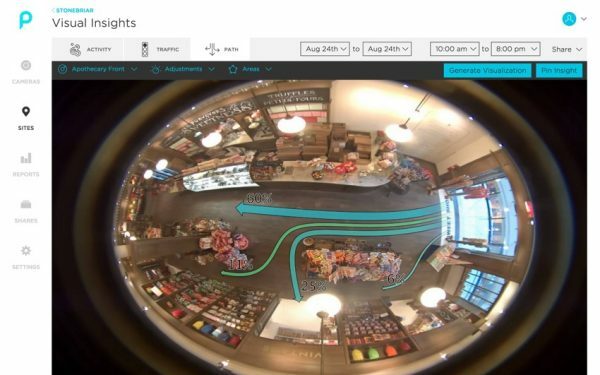 Some of this cutting-edge technology can even recognise and strip out people from video footage, enabling retailers to benefit from visual access to a store that still safeguards customer privacy. What impact does A/B testing displays, and testing multiple merchandise configurations have on walk-by capture rates? Have my promotions been rolled out consistently across all my stores? How clean are my sales floors and are my employees responding to issues in a timely manner? The UK’s Londis Stores (acquired from Musgrave Group by Booker Group in 2015), demonstrate the power of deploying video IoT in-store. Creating an appealing retail environment for customers is critical for increasing store traffic. For Londis, the secret to doing so lay in using Prism, a cloud-based analytics and visual access tool that could integrate with the stores’ existing security cameras. Prism’s remote visual store access allowed Londis Operations teams to monitor cleanliness, maintain compliance and verify campaign rollouts. The ability to see real-time store images from any mobile device made it easier for brand standards to be maintained, and the improved compliance translated directly into increased footfall. After using Prism for visual insights, Londis Stores footfall increased by 21% — a fifth more than it had previously. In addition to the in-store visual access, Londis used Prism’s retail insights in conjunction with Footfall Analytics’ PoS sales data to optimise how customers interacted with merchandise. Prism analytics generated reports on product interaction (using display-level heatmaps) and dwell (with customized floor-area heatmaps). This data helped Musgrave put slower-moving products in higher-traffic areas of the Londis store, leading to a remarkable 19 percent increase in sales revenue. Hopefully this has inspired retailers to consider how using modern video IoT technology with analytics software can put physical and online retailing on a more level playing field while giving customers greater choice and a better experience. Whether you believe or not that we are entering a bricks and mortar retailing renaissance, there is no disputing that British shoppers still favour physical shopping over virtual experiences – and will do for many years to come. The winners will be the retailers that can combine the best of the virtual and online shopping experiences in-store. As a ‘seasoned’ retailer with more than 30 years experience, nothing has been more rewarding for me personally than witnessing how the surprisingly accessible and affordable Video IoT technology is helping physical retailers regain their mojo and get back to winning ways. Cliff Crosbie is a seasoned retail executive who has worked for and developed in-store experiences for some of the best brands in the world including Apple, Ikea, Nokia, Nike and Habitat.